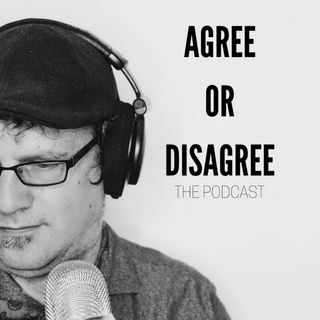 Today's guest on Agree or Disagree:The Podcast shows hard work, desire and dedication can get you where you are. Carolyn Bridget Kennedy is an award-winning actor, writer and producer living in Los Angeles. Carolyn is studying at the prestigious and storied Beverly Hills Playhouse in their Advanced Class where her acting has been described as possessing a "naturalism" and "believability" that communicates to the audience. She has been applauded for her work as ... See More having heart and humanity, and for being a powerful captivating presence on stage. She understands exactly "what is going on underneath the scene" and presents "exactly what the story asks" so that the audience "believes what is going on". The characters she has been asked to play are strong "salt of the earth" award winning lead roles previously played by iconic actors like Frances McDormand, Emma Thompson, Michelle Pfeiffer, Nicole Kidman, Sally Field, Julia Roberts, Diane Keaton, Mary Tyler Moore, Goldie Hawn, Jane Fonda and Ellen Burstyn. What got you into acting? Some challenges along the way.